A successful Democracy in Europe Movement 2025 (DiEM25) needs to redefine European citizenship by leading and shaping debates on the place of the individual in today’s European society. The “EU will be democratised. Or it will disintegrate!”, so cries the manifesto for a democratic European Union by 2025 (DiEM25). Yet the pillars of this democratization process - greater transparency and citizen participation - alone will prove insufficient in the absence of a genuine European demos. In this regard, the notion of a European citizenship and the rights it entails is the manifesto’s missing dimension. Any discussion about democracy in Europe is incomplete without considering the notion of European citizenship itself - the civil, political and social rights enjoyed by citizens of the EU. Only by (re)politicising such debates can the goal of an authentically democratic EU be fully achieved. The discourse and content of citizenship rights - civil, political and social - has been hollowed out across the continent. The success of the democratic transition (albeit at times incomplete) of much of central and eastern Europe has diluted debate about democracy and citizenship more broadly. Europe’s various crises have further disarticulated and fragmented its civil, social and political spheres; fostering resurgent intolerance, prejudice and hatred. Citizenship itself is increasingly associated with the market integration of the individual; a narrow conception that has fostered inconsistencies and apathy across Europe, especially among young people. Politics as it is practiced today is no longer deemed relevant to the lives of many of Europe’s citizens. Whilst a legalistic conception of EU citizenship has largely been accomplished, a more substantive debate about a fully-fledged European citizenship has remained absent. Europe sorely lacks a process that reflects upon how economic, political, cultural and social relations have changed, are changing and will change in the future. It lacks a process which considers the EU’s role in furthering and guaranteeing rights in each of these areas. Such a process must explore differing conceptions of citizenship and citizenship rights that can challenge neoliberal conceptions which are increasingly taking hold. Civil rights, especially those protecting against discrimination on various grounds (especially sexual orientation and gender), remain weak and incomplete. Fundamental freedoms, including those of movement and expression, have been placed under greater scrutiny due to security and other concerns. The financial crisis and associated austerity has undermined the validity of social rights in Europe, with emerging deficiencies in provisions of healthcare, social welfare and education. Many European citizens lack authentic choice and opportunities for substantive political participation. The question of European citizenship and the rights afforded to citizens should be a fundamental focus of any movement seeking democratic renewal. The individual’s place in society must be reconsidered and rearticulated through debates about citizenship across the continent. Considerations about civil, political and social rights go to the very heart of the integration challenges presently confronting much of Europe. And whilst citizenship and citizenship rights can serve a positive integrative function, this potential is being lost due to a lack of substantive debate about their very definition and content. Considerations about citizenship need to reach beyond the confines of the nation state. An expansive notion of European citizenship can provide a stronger basis for political association and consensus across the continent. In the process, such debates about rights and obligations can help inspire reflection on what it means to be a member of a common community; a common European community. Over time, this can catalyse the formation of a shared identity that is an expression of membership in this very community and which can catalyse its further evolution and advancement. Civil society has an essential role in spearheading such a European citizenship-oriented discussion. 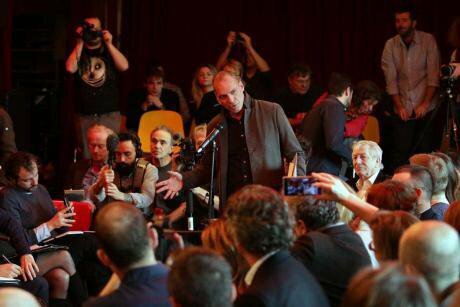 The transformative potential of movements blossoming in response to crisis, such as DiEM25, is however often undermined by fragmentation and isolation. Such movements must avoid particularistic demands that will temper the pursuit of an expanded notion of active European citizenship. Only then can new ways of and spaces for doing politics be discovered. And only then can the political practices and discourses which have sprouted across Europe - of authoritarianism and populism, in particular - be banished. In the absence of a fully-developed European conception of citizenship, no amount of participatory empowerment will garner the type of pan-European democracy deemed vital for Europe’s future. A successful Democracy in Europe Movement 2025 needs to redefine European citizenship by leading and shaping debates on the place of the individual in today’s European society. Such a process can contribute to building a new Europe of citizens, not consumers; planting the seeds for a shared identity grounded in membership of a common European community. Without a broader conception of citizenship and citizenship rights, Europe will disintegrate. The question of what sort of European citizenship does Europe want is now up to its citizens.